I am also able to see clients who are unable to leave their home to see me or anywhere in the world via Skype. Bristol Hypnotherapist – helping you make the changes you want to make. Perhaps you want to stop smoking or to drink less. Perhaps you would like to conquer a fear and get on board that aeroplane – without a care in the world. Or, maybe, you’re deciding that you want to do something about feeling less stressed, calmer and sleeping better too? I answer some popular hypnotherapy questions in my hypnotherapy blog. Solution Focused Hypnotherapy uses practical, modern and well-researched strategies to help people make significant, positive changes in their lives in a relatively short period of time. With Solution Focused Hypnotherapy, we look at what the client would like to achieve (the solution) rather than at whatever prompted them to visit us (the problem). In essence the approach focuses on the present and future and not on the past. The Hypnotherapist asks the client to consider their preferred future, for instance, what would be better if the problem had improved? What would have changed? This enables the client’s possible solutions to become more obvious and gives the client a goal to work towards. Hypnosis itself reduces anxiety and this is done very simply through relaxation and visualisation, allowing the client to focus on the positive aspects of their life, encouraging a shift in perspective. 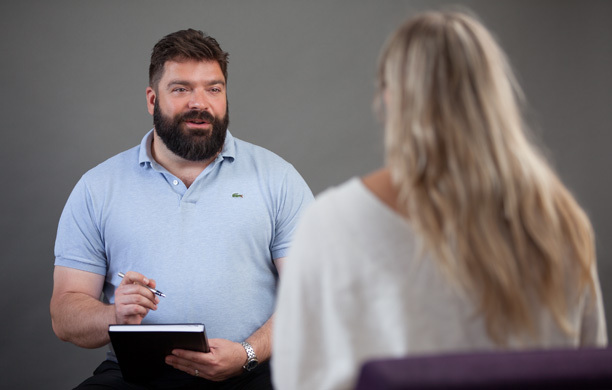 It is always recommended to talk to your GP before starting hypnotherapy to support your current treatment for depression or anxiety related conditions. I am a Bristol Clinical Hypnotherapist who specialises in helping you find the best solutions to any difficulties you are facing. Contact me by telephone on 0117 929 1536 or mobile/text 07879 353 886 or by email to take the first step to positive changes. Skype sessions now available. ‘Hypnotherapy is effective, however results may vary and success in not guaranteed. Full client commitment is important. Please read Terms & Conditions for more details’.